Wah so yummie! Ok cabin crew please serve me and the Kapitan. The smoked salmon for me and Cheese & Ham for my boss ok? 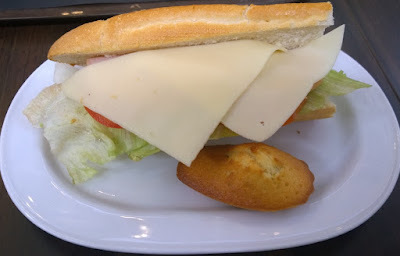 CC no need to eat because got no time hahaaaa! think of nothing but the stewardesses and food. Sigh,sigh what is becoming of the aviation world? A bunch of CHEAPSKATES who love to EOB(eat on board)despite earning big fat salary!That's why after 3 months of flying majority fat like pigs and they never get grounded as pax don't have to look at their big,fat arses!! Salmon sashimi in croissant is great but not likely candidate for airline meal except maybe in the premium classes. The reason is because to preserve the taste of the croissant, it must be frozen quickly after baking. Frozen, NOT chilled. And then warmed up. But the salmon sashimi cannot be frozen with the croissant - its taste will be spoiled during the warming. Frozen salmon must be thawed. 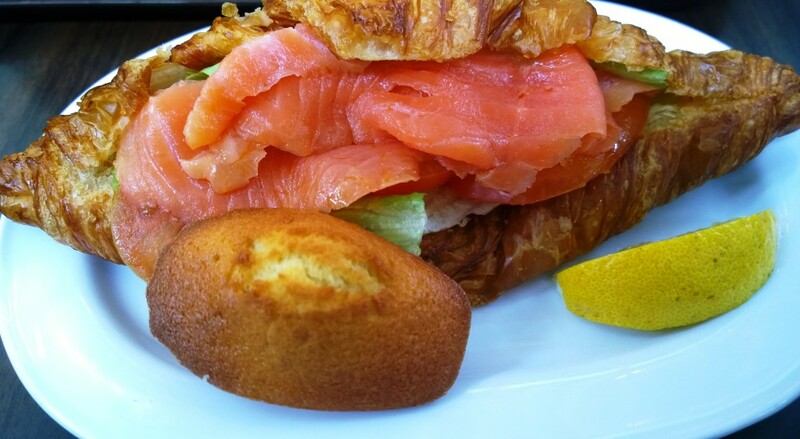 Hence the salmon and the croissant cannot be frozen together as a dish. But if frozen separately, then crew must assemble the sandwich together, and this is not feasible except for premium class. However, nowadays, even premium class meals are all blast frozen. That is correct. Not many seafood can be served onboard without compromising taste and comtamination.